Cuts up to 980mm long tiles. Removable aluminium bed for easy cleaning. Folding legs with built-in wheels. 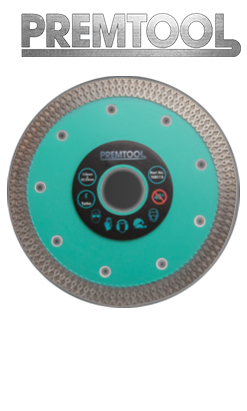 250mm CEV Diamond Blade included. Full blade cover so various blade types can be used. Engine set with sliding bearings. 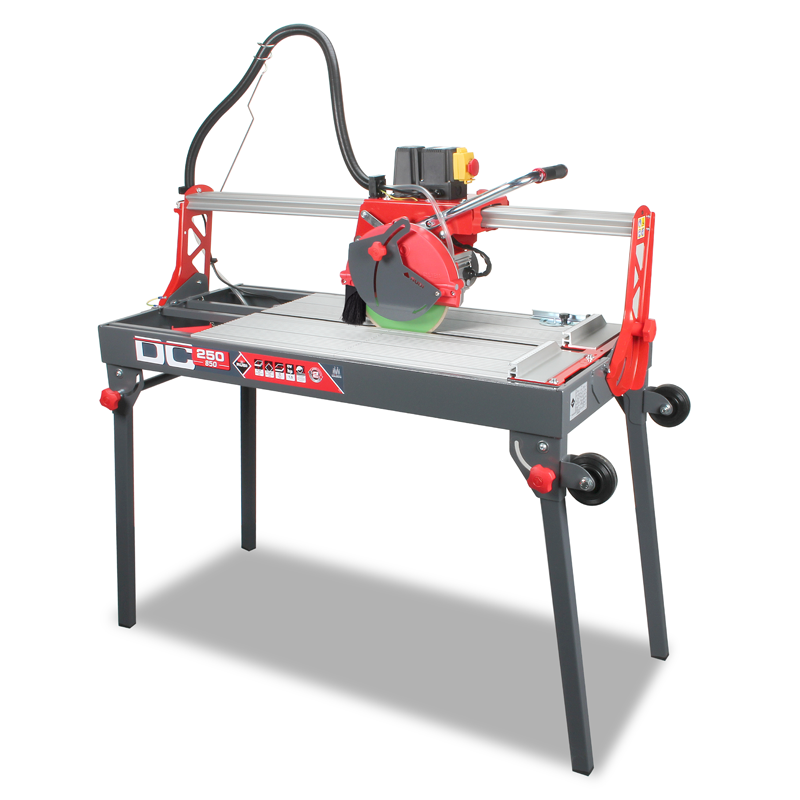 Cuts up to 85mm thickness.